Iain’s first visit to South America in 2015 was a typical backpacker affair with limited time, money and research. Having sidestepped Patagonia for the aforementioned reasons, he then realised what a mistake he’d made and set things straight by making an immediate return that same year. Iain has returned regularly to this corner of the world ever since. Growing up in Devon ensured that the great outdoors was always of paramount interest throughout my childhood, and I was always looking to be fairly active through swimming, surfing or playing football. 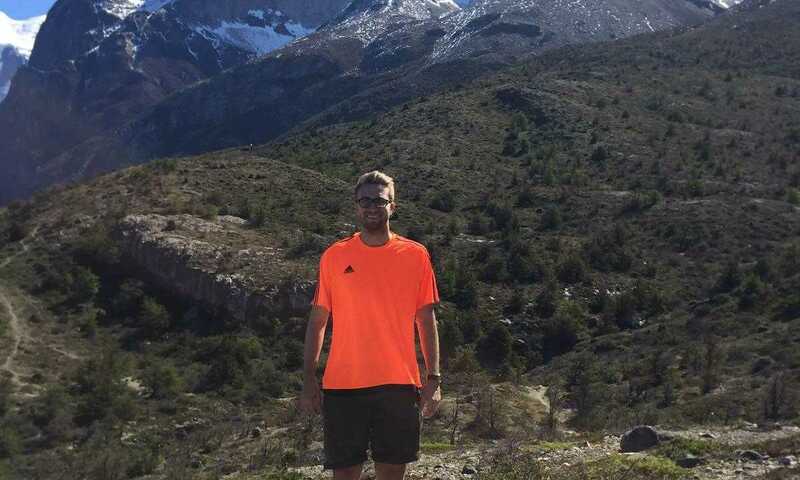 University was swiftly followed by an adventure to Latin America where I well and truly caught the travel bug, which set me on this course of pursuing my great passion for ends of the earth exploration in both my life and career. My first visit to the vast Patagonian region was back in August of 2015. 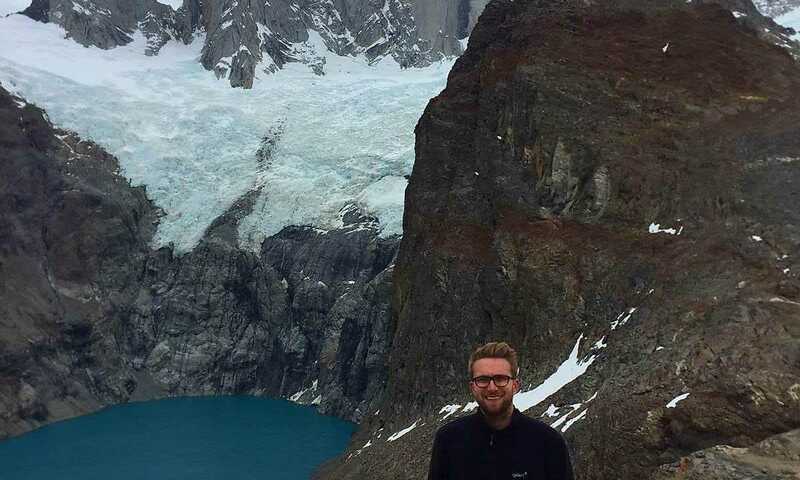 The fact it was the middle of winter only added to the majesty of my experiences in the Lake District, Torres del Paine and Los Glaciares National Park. The surreal nature of the ever-changing weather, the enthusiasm of the local guides and the remoteness (even in the most popular and visited national parks) ensured it was a truly unforgettable experience. On my next trip, I was lucky enough to complete the iconic 7-day W Trek in Torres Del Paine, before venturing into Argentine Patagonia where I ice-hiked on the Viedma Glacier and trekked the famous Laguna de Los Tres and Cerro Torre trails from El Chalten. I also spent a couple of days at the amazing Aguas Arriba Lodge with access to more remote hiking trails, hanging glaciers and Lago del Desierto. On my travels, I have also been lucky enough to visit some of the other highlights of Chile and Argentina including the Atacama Desert, Salta and the surrounding parts of northwest Argentina and Iguazu Falls. I’ve also been to Antarctica where I was surrounded by reminders of why I love Patagonia; a plethora of wildlife, dramatic landscapes and cracking glaciers! I work from our Bristol office alongside the rest of the UK team. I specialise in piecing together tailormade itineraries for our customers, created and carefully designed around their own particular interests and desires. No two itineraries are ever the same at Swoop Patagonia and this really is all part of the fun! I love working in conjunction with our incredible network of local partners based in Patagonia to ensure that our customers return with unforgettable memories and a longing to return. For me, the landscapes and panoramic vistas that Patagonia offers are my favourite aspects of the region. Nothing can quite prepare you for moments when low hanging cloud clears and you are finally exposed to sheer granite peaks. When you combine this with the friendly locals, the awesome food and the inability to take a bad photograph, there are not many places quite like it! The Aysen region is somewhere that I would love to explore. There are some fantastic places to base yourself around Lago General Carrera, but getting further south to Tortel and Villa O’Higgins is firmly on the bucket list!